It’s the dog days of summer, and here in New Braunfels, we’re cranking up the air conditioning to cool ourselves down. Yes, in our hot and humid homes, having an AC unit is one luxury we can’t afford to do without. 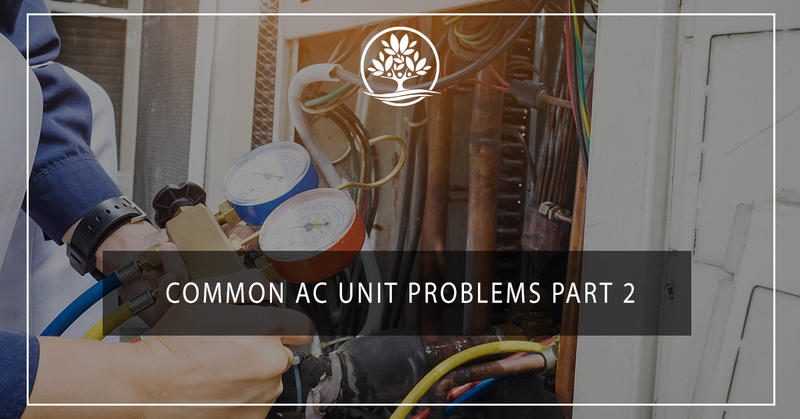 Since they are used so frequently in these summer months, our air conditioners are more prone to breaking and experiencing other problems. Fortunately, our AC and heating repair experts are here to help! Legacy Services has seen nearly every AC problem and issue and we always have a quick fix for it. Here are some common problems your air conditioner might experience this summer. A dirty air filter can impact your AC unit in a range of ways. A filter can easily become clogged with leaves, dirt, gravel, and other particulates. When your filter is clogged, the amount of air that flows through the unit is reduced. This means that your AC has to work harder to draw air in and doesn’t cool the air as effectively. Ideally, the typical AC filter should be replaced about once a month, and that’s especially true in a place like New Braunfels, where residents tend to run their ACs throughout the year. Everyone has met that dad who is obsessed with the thermostat and keeps anyone from touching it. While we might think they’re being overly controlling, they might be onto something. Many AC problems are actually due to thermostats that have been unknowingly adjusted. If your thermostat is programmable, make sure that it is set for a comfortable temperature when you’re home. You should also be mindful of what is around your thermostat. For instance, if you put a lamp right next to your thermostat, it might falsely influence the temperature readings. The heat from the bulb can make the thermostat think it is warmer than it actually is. This can keep your AC running longer than it needs to and cause undue wear and tear on its precision parts. 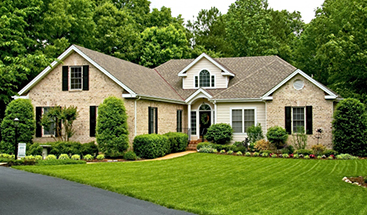 Typically, air conditioners occupy a little-visited corner of your backyard or basement. Despite the important role it plays in the comfort of our home, it’s easy to forget that it’s there. You’ll want to be mindful of where your AC is, and what’s surrounding it. Typically, an air conditioner needs 2 to 3 feet of “breathing space” around it to function properly. If your AC is outside, make sure that there aren’t any plants crowding it. Or, if your AC is inside, ensure that there aren’t any boxes, fixtures, or decorations blocking it. If your AC is crowded, it can’t efficiently draw air into the unit. Your filter is clean, your thermostat is set where you like it, and your AC unit has plenty of wiggle room, but your air conditioner is still acting funny. What’s next? Call the AC and heating repair experts at Legacy Services in New Braunfels. We’ll send a repair technician to your home and to diagnose your AC’s problem, and fix it quick. With more than 30 years of experience in the field, we can make repairing your AC easy and stress-free. Call us now!